Further, I have enclosed a series of video examples from my portfolio that speak to this campaign’s visual aesthetic as well as overall execution. Each example is organized based on the creative ask at hand. I hope the team will find that these works highlight both my diverse background as well as the depth of creativity that I will bring to this upcoming collaboration. I am looking forward to rolling up my sleeves and getting to work! So often spots are cluttered. Packed with too many ideas and too much information that distracts from the heart of the message at hand. Within the "Off The Record" episodic series we have an opportunity, as well as the responsibly, to focus on the inherent core of each product's story and the culture that influenced its creation. It’s not only exciting, but it is a real treat to be able to center our thinking as we first laser focus on Penny Hardaway’s connection to Foamposite and the resulting Galaxy colorway; the shoe that ended up beating all the odds to became one of the most important shoes in the sneaker game. 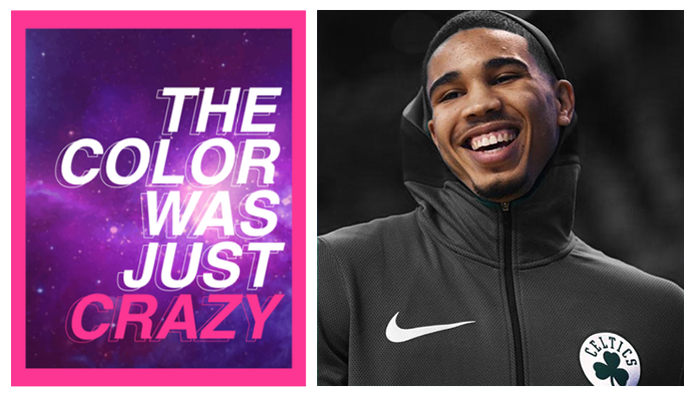 We then continue to dive deeper into our Big Bang Foamposite + Galaxy colorway narrative as we introduce Jayson Tatum; the young-gun. Jayson provides our audience with a firsthand, current-player’s perspective on the shoe's legacy as well as it's lasting courtside prestige. This campaign is going to be great because we’re starting from something that’s already really good. I am so excited that you have shared this creative deck with me and I would love to collaborate closely with the team in order to make this episodic series a reality. I look forward to hearing from you and please don't hesitate to reach out if you have any questions. The following pieces speak to the evloution of our look & feel. Nike - House of Hoops "Episode 1: Big Bang Foams"
adidas - "Calling All Creators"
Wacom - "Carli - Animal Photographer"